The New Home or New Housing HST Rebate in Ontario was created by the Government of Canada to help homeowners receive a maximum of $24,000 if the HST was paid on the purchase of the land, and $16,080 if it was not, while renovating or building a new home. If you have paid the HST to build, purchase, or substantially renovate a home in Ontario and intend on using the property as a primary residence for you or your close relative, you are eligible to receive some of the provincial and federal portions of the HST paid. Are You Eligible for the HST Rebate in Ontario? Purchased either a new home, substantially renovated a home or constructed a home. This could include a home on leased land, but only in the case the lease allows you to buy the land, or the lease agreement is for 20 years or more. The housing is to be used as your or your relative’s primary residence. Purchased shares in a co-op (co-operative) housing complex for the purpose of using the unit in the complex as your or your close relative’s primary place of residence. Substantially renovated your own home or constructed a new one, or hired somebody else to substantially renovate or construct your or your relative’s primary of residence. The market value of the house after the construction is completed has to be under $450,000. The rebate also applies to mobile homes and floating homes. 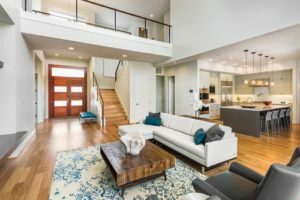 For such homes, you may treat your mobile or floating home as either an owner-built home or a purchased home when claiming the HST New Housing Rebate. At Rebate4U, we have a comprehensive list of information and documents required from the homeowner in order to prepare the application for the rebate on their behalf. Our rebate specialists will review all of the expenses and supporting documentation to make sure you are eligible before we submit the claim to the Canadian Revenue Agency. How Long Does it Take to Get the HST Rebate? The New Home HST Rebate in Ontario application must be filed within two years of a new home closing date or the completion of renovation. You can typically expect to receive your New Housing HST Rebate from the Canada Revenue Agency within two months. Rebates can be received as fast as one month, but can occasionally take up to six months to process. Is it Made for Investors? The simple answer is no. There are two types of HST rebates. One of them, known as the New Home Rebate, is intended for buyers who intend on living in the new home. Another type of HST Rebate in Ontario, the New Residential Rental Property Rebate, is intended for investors purchasing a new home to rent it out as an income property. Filing for the wrong rebate program could mean losing out on the rebate! Please note that, regardless of the program that you apply for, the HST rebate will be voided if the new home is sold in less than 12 months after the closing date. In addition, if you filed the New Housing Rebate, but end up leasing the home instead of moving in yourself, you could be required to pay the rebate back. Investors who wish to lease off the residence must apply for the New Residential Rental Property Rebate instead. 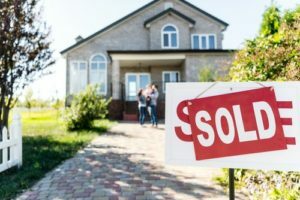 Generally, in Canada, an eligible new home buyer can receive a rebate for 36% of the federal portion of the HST paid on a new home, which constitutes 5% of the overall purchase price. The new home must have a pre-tax price of less or equal to $350,000. For homes with a pre-tax price between $350,000 and $450,000, the federal HST rebate is gradually decreased, with no rebate available when the purchase price is over $450,000. The maximum possible rebate for the federal portion of the HST is $6,300. Furthermore, an eligible new home buyer can receive a rebate of 75% of the Ontario portion of the sales tax, which constitutes 8% of the overall purchase price. This rebate is available for all residential properties, regardless of the purchase price. However, the maximum possible provincial HST Rebate in Ontario is $24,000, which equals to 6% of $400,000. This means that home buyers in Ontario are paying only 2% of the provincial tax for the first $400,000 of the home purchase price and 8% thereafter. Generally, the New Home HST Rebate in Ontario is assigned to the builder of the new property, who later credits the buyer with the amount of the rebate, so that the buyer does not have to pay the full amount of HST at closing. Contact Rebate4U at 1-800-610-4510 to verify that you qualify for the rebate. Book a consultation with one of our rebate specialists. Receive your maximum HST New Home Rebate. With Rebate4U, you have nothing to worry about – we will take care of all the paperwork and the entire application process. Visit https://www.rebate4u.ca/service-housing-rebate for more information or contact us directly to book a free consultation.